On Sunday, the Sun in your sign trines good luck Jupiter in your travel house, making for a great day to plan or go on a trip, apply to school, or work on a visionary project. This same day sees Venus in your closure zone reach out happily to Pluto in your career sector, blessing matters on the job. Unfortunately on Monday, these energies work against each other, as Venus in your closure house clashes with Jupiter in your travel sector. Work or illness (or someone else’s illness!) may interfere with fun plans you had. Friday then sees a full moon in your relationship zone, possibly bringing a partnership matter to a head. Luckily, good-luck Jupiter in your travel house will send a gorgeous beam to this moon, and you might take a big step with a partner- making things official or becoming engaged or married. The bad news is that Uranus will oppose the moon, and Saturn, Pluto, and the nodes of the moon will square it from your career zone. You could feel torn between personal, partnership, and career goals, and it’s even possible you break up with a partner at this time. If this is the case, trust that Jupiter is protecting you and guiding you towards the right decision. Luckily, Friday also brings some relief your way, as Mercury conjuncts healing Chiron in your sign of Aries. It’s ok to focus on self-care at this time. A massage, bubble bath, or solo trip may be just what the doctor ordered. On Sunday, the Sun in your closure zone trines good luck Jupiter in your financial house, and you could get some good money news today. This same day sees Venus (your ruler!) in your goals zone reach out happily to Pluto in your travel sector, making for a great day to spend with friends, plan a trip, or work on long-term projects. Unfortunately on Monday, these energies work against each other, as Venus in your goals house clashes with Jupiter in your financial sector. An expense may arise or you could have trouble with a friend. Friday then sees a full moon in your work and health zone, possibly bringing a job or health-related matter to a head. Luckily, good-luck Jupiter in your financial house will send a gorgeous beam to this moon, and you might get a raise or bonus. You also could undergo surgery around this time. The bad news is that Uranus will oppose the moon, and Saturn, Pluto, and the nodes of the moon will square it from your travel house. Whatever comes up could interfere with a planned trip. It’s also possible that you have trouble with a car, co-worker, or client at this time. Luckily, Friday also brings some relief your way, as Mercury conjuncts Chiron in your closure house. Take a deep breath and sigh it out. It will all be ok! On Sunday, the Sun in your goals zone trines good luck Jupiter in your relationship house, making for a great day for a date! This same day sees Venus in your career house reach out happily to Pluto in your financial sector. You could get some good money news today! Unfortunately on Monday, these energies work against each other, as Venus in your career house clashes with Jupiter in your relationship sector. You might feel torn between personal needs and career obligations, or have trouble with a spouse, boss, or parent. Friday then sees a full moon in your love and fun zone, possibly bringing a romance, creative project, or child-related matter to a head. Luckily, good-luck Jupiter in your relationship house will send a gorgeous beam to this moon. You may make an important decision with a partner, perhaps becoming engaged, married, or pregnant! The bad news is that Uranus will oppose the moon, and Saturn, Pluto, and the nodes of the moon will square it from your financial house. Whatever comes up may prove expensive, be a surprise, or interfere with other long-term plans you had. Luckily, Friday also brings some relief to long-term goals and plans, as your ruler, Mercury, conjuncts Chiron in this house. On Sunday, the Sun in your career sector trines good luck Jupiter in your work and health house, and you might get some very good career news! The Sun also rules your income house, suggesting money news could be good as well! This same day sees Venus in your travel zone reach out happily to Pluto in your relationship house. What a great night for a date! Unfortunately on Monday, these energies work against each other, as Venus in your travel house clashes with Jupiter in your work and health sector. You may trouble with work, illness, school, or travel today. Friday then sees a full moon in your home zone, possibly bringing a home or family matter to a head. Luckily, good-luck Jupiter will send a gorgeous beam to this moon, so you may get some very good news about a housing matter or family member! The bad news is that Uranus will oppose the moon, and Saturn, Pluto, and the nodes of the moon will square it from your relationship house. You may feel caught between a family member and spouse, or have trouble with a partner, job, family member, or home-related matter. Luckily, Friday also brings some relief to career matters, as Mercury conjuncts Chiron in this house. On Sunday, the Sun in your travel house trines good luck Jupiter in your love zone, making for a wonderful day for travel, academia, romance, creativity, and child-related matters. The Sun is your ruler, so this is an extra special day for you! This same day sees Venus in your financial zone reach out happily to Pluto in your work and health house. You may resolve a health matter or get a bonus around this time. Unfortunately on Monday, these energies work against each other, as Venus in your financial zone clashes with Jupiter in your love sector. An expense may arise, or you may have trouble with love affair, child, or creative project. Friday then sees a full moon in your communication sector, possibly bringing a writing project, sibling matter, contract, or vehicle matter to a head. Lucky Jupiter in your love zone will send a gorgeous beam to this moon, so you may sign a contract, make a commitment, get a new car, travel, or hear good news about a sibling around this time. The bad news is that Uranus will oppose the moon, and Saturn, Pluto, and the nodes of the moon will square it from your work and health house. Work or illness may interfere with a planned trip, or you may have trouble with a job, client, or career matter. You also could have trouble with your car, a sibling, or while traveling. Luckily, Friday also brings some relief to travel matters, as Mercury conjuncts Chiron in this house. On Sunday, the Sun in your financial house trines good luck Jupiter in your home zone, making for a wonderful day for spend with family or work on home projects. This same day sees Venus in your relationship house reach out happily to Pluto in your love zone. What a great night for a date! Unfortunately on Monday, these energies work against each other, as Venus in your relationship zone clashes with Jupiter in your home sector. You may have trouble with a spouse, family member, contractor, or home project. Friday then sees a full moon in your income sector, possibly bringing a job or salary matter to a head. Lucky Jupiter in your home zone will send a gorgeous beam to this moon, so you may get a new apartment or house, update your decor, or get some good financial news. The bad news is that Uranus will oppose the moon, and Saturn, Pluto, and the nodes of the moon will square it from your love sector. An expense could arise or you may have trouble with a job, client, or child-related matter. Luckily, Friday also brings some relief to finances, as Mercury conjuncts Chiron in this house. On Sunday, the Sun in your relationship house trines good luck Jupiter in your communication zone, making for a wonderful day for commitments and travel. This same day sees Venus (your ruler!) in your work and health zone reach out happily to Pluto in your home house, making for a great day to spend with family or work on home projects. Unfortunately on Monday, these energies work against each other, as Venus in your work and health zone clashes with Jupiter in your commitment house. You may have trouble on the job today or while driving. Your car or a sibling may have an issue. Friday then sees a full moon in your sign of Libra, possibly bringing a personal or partnership matter to a head. Lucky Jupiter in your commitment house will send a gorgeous beam to this moon, so you may make an important commitment in love. The bad news is that Uranus will oppose the moon, and Saturn, Pluto, and the nodes of the moon will square it from your home sector. You might have trouble with partner or home or family matter. Luckily, Friday brings some relief to partnership matters, as Mercury conjuncts Chiron in this house. On Sunday, the Sun in your work and health zone trines good luck Jupiter in your salary house, possibly bringing a raise or new job your way. This same day sees Venus in your love zone reach out happily to Pluto (your ruler!) in your communication house. This is a great day to work on creative projects or spend time with your one and only. Unfortunately on Monday, these energies work against each other, as Venus in your love zone clashes with Jupiter in your salary house. Try to strike a balance between work and personal needs. It’s also possible an expense arises today. Friday then sees a full moon in your closure house, possibly ending a chapter of your life. Lucky Jupiter in your money house will send a gorgeous beam to this moon, so you may actually make some money at this time. The bad news is that Uranus will oppose the moon, and Saturn, Pluto, and the nodes of the moon will square it from your communication sector. You might have trouble with a vehicle, illness, job, sibling, or travel matter. Luckily, Friday also brings some relief to work and health matters, as Mercury conjuncts Chiron in this house. On Sunday, the sun in your love zone trines good luck Jupiter (your ruler) in your sign, possibly bringing good news regarding a love affair, child-related matter, creative project, or pregnancy. This same day sees Venus in your home zone reach out happily to Pluto in your income house. This is a great day to spend with family or work on home projects. Unfortunately on Monday, these energies work against each other, as Venus in your home zone clashes with Jupiter in your sign. Try to strike a balance between home and personal needs at this time. Friday then sees a full moon in your goals zone, possibly bringing a friendship matter, long-term goal, or technology project to a head. Lucky Jupiter in your sign will send a gorgeous beam to this moon, and you might achieve a long-held dream! The bad news is that Uranus will oppose the moon, pitting personal needs against group ones; and Saturn, Pluto, and the nodes of the moon will square it from your income sector. You might have trouble on the job, or an expense could arise. Luckily, Friday also brings some relief to love, creativity, and child-related matters, as Mercury conjuncts Chiron in this house. On Sunday, the sun in your home zone trines good luck Jupiter in your closure house, possibly bringing good news regarding a home or family matter. This same day sees Venus in your communication house reach out happily to Pluto in your sign. This is a great day for travel, writing, and commitments. Unfortunately on Monday, these energies work against each other, as Venus in your communication house clashes with Jupiter in your closure zone. Try to avoid signing contracts today if you can. Friday then sees a full moon in your career sector, possibly bringing a matter on the job to a head. Lucky Jupiter in your closure zone will send a gorgeous beam to this moon, and you might get a job, complete a work project, or get some recognition in your field. The bad news is that Uranus will oppose the moon, pitting family needs against career ones; and Saturn (your ruler), Pluto, and the nodes of the moon will square it from your sign, making it likely that challenges will arise. Work could prove tricky at this time, and any accolades you earn, you will definitely work for! Luckily, Friday also brings some relief to home and family matters, as Mercury conjuncts Chiron in this house. On Sunday, the sun in your communication sector trines good luck Jupiter in your goals zone, possibly bringing good news regarding a contract, technology project, or travel goal your way. This same day sees Venus in your salary house reach out happily to Pluto in your closure zone. You might get a nice financial surprise at this time! Unfortunately on Monday, beautifying Venus in your income house clashes with Jupiter in your goals house. You may owe some money today. Friday then sees a full moon in your travel and education sector, possibly bringing a matter of this nature to a head. Lucky Jupiter in your goals zone will send a gorgeous beam to this moon, and you might get to go on a trip with friends, or resolve a legal or academic matter. The bad news is that your ruler, Uranus, will oppose the moon, and Saturn, Pluto, and the nodes of the moon will square it from your closure zone, making it likely that challenges will arise. If you’re traveling, be prepared with a Plan B.
Luckily, Friday also brings some relief to communication matters, as Mercury conjuncts Chiron in this house. On Sunday, the sun in your income sector trines good luck Jupiter in your career zone, and it’s possible you’ll get a raise, new job, or accolades for a job well done. This same day sees Venus in your sign reach out happily to Pluto in your goals zone. Why not celebrate any career wins with friends tonight? On Monday, these energies may end up working against each other, as beautifying Venus clashes with Jupiter in your career house. You may feel torn between personal plans and career obligations. Friday then sees a full moon in your shared finances house, possibly bringing a money matter to a head. Lucky Jupiter in your career house will send a gorgeous beam to this moon, and you might get a bonus on the job at this time! The bad news is that Uranus will oppose the moon, and Saturn, Pluto, and the nodes of the moon will square it, making it likely that challenges will arise. It’s even possible you’ll owe money at this time. Try not to make any major purchases this week. This would also be a bad time for surgery. Luckily, Friday also brings some relief to your finances, as Mercury conjuncts Chiron in your income house. This week is all about closure, as Mercury and Venus glide through your 12th house and make some very lovely aspects! Sunday sees Mercury reach out to Saturn in your career zone, blessing jobs, status, and career. On Tuesday, Mercury will go on to smooch the fated True Node in your home zone, making for a great day to move, clean out the closets, or spend time with family. Wednesday could see you complete a job or assignment, as Venus conjuncts Neptune in your closure house, and Mercury reaches out happily to Pluto in your career zone. Then Friday and Saturday see beautifying Venus repeat the same aspects as Mercury, sending lovely beams to Saturn and Pluto from your closure zone. There are a few tricky aspects to be aware of this week, as the Sun in your sign will square Saturn on Wednesday, the True Node on Friday, and Pluto on Saturday. Work could prove difficult, or you may have trouble with an authority figure or boss. Additionally, Friday will see Mercury square Jupiter in your travel zone. Work could interfere with a trip, or you may have trouble while traveling. This week is all about friends and goals, as Mercury and Venus (your ruler!) glide through your 11th house and make some very lovely aspects! Sunday sees Mercury reach out to Saturn in your travel zone, blessing travel, education, friendships, and long-term goals. On Tuesday, Mercury will go on to smooch the fated True Node in your communication house, bringing more good energy to friendship and travel! Wednesday brings more fun your way, as Venus conjuncts Neptune in your 11th house, and Mercury reaches out happily to Pluto in your travel house. The 11th house also rules technology and philanthropy, so these are areas of life that will be blessed as well. Then Friday and Saturday see beautifying Venus (your ruler!) repeat the same aspects as Mercury, sending lovely beams to Saturn and Pluto from your goals zone. There are a few tricky aspects to be aware of this week, as the Sun in your closure house will square Saturn on Wednesday, the True Node on Friday, and Pluto on Saturday. If you do travel this week, make sure you double check all reservations. If you’re involved in a legal case, this won’t be your best week. Additionally, Friday will see Mercury square Jupiter in your financial zone, suggesting you could see an expense on this day. This week is all about career, as Mercury (your ruler!) and Venus glide through your 10th house, putting the focus on your job. Sunday sees Mercury reach out to Saturn in your financial zone, blessing work, funding matters, and your financial status. On Tuesday, Mercury will go on to smooch the fated True Node in your salary house, suggesting that you could get a raise on the job! Wednesday brings more good 10th house vibes, as Venus conjuncts Neptune in this house, and Mercury reaches out happily to Pluto in your financial house. Wow! You might get a raise, funding for a company, a promotion, or accolades for a job well done. Then Friday and Saturday see beautifying Venus repeat the same aspects as Mercury, sending lovely beams to Saturn and Pluto from your career zone. There are a few tricky aspects to be aware of this week, as the Sun in your goals house will square Saturn on Wednesday, the True Node on Friday, and Pluto on Saturday. You may have higher expenses to deal with this week. Additionally, Friday will see Mercury (your ruler) square Jupiter in your relationship zone, suggesting that you could feel torn between a partner and your work, or have trouble with a boss or other authority figure. This week is all about travel and education, as Mercury and Venus glide through your 9th house, and it seems you may be on vacation this week (or at least dreaming about one!). Sunday sees Mercury reach out to Saturn in your relationship zone, blessing partners, travel, legal matters, and education. On Tuesday, Mercury will go on to smooch the fated True Node in your sign of Cancer, suggesting more good energy for travel and educational matters. Wednesday brings more good 9th house vibes, as Venus conjuncts Neptune in this house, and Mercury reaches out happily to Pluto in your relationship house. If you’re not currently traveling, use this energy to plan a future trip. If you are unable to travel, perhaps you could read a book about a subject you know nothing about. The 9th house is all about expanding your mind and point of view! Then Friday and Saturday see beautifying Venus repeat the same aspects as Mercury, sending lovely beams to Saturn and Pluto from your travel zone. There are a few tricky aspects to be aware of this week, as the Sun in your career house will square Saturn on Wednesday, the True Node on Friday, and Pluto on Saturday. You may have trouble with a boss, spouse, or other authority figure. Additionally, Friday will see Mercury square Jupiter in your work and health zone, suggesting that work or illness could get in the way of your travels. This week is all about finances, as Mercury and Venus glide through your 8th house and make some lovely aspects to other planets! Sunday sees Mercury reach out to Saturn in your work and health zone, blessing jobs, routines, money, health, and surgery. On Tuesday, Mercury will go on to smooch the fated True Node in your closure house, suggesting you could get a bonus, raise, or payment from a client. Wednesday brings more good 8th house vibes, as Venus conjuncts Neptune in this house, and Mercury reaches out happily to Pluto in your work house. This is the day to ask for a raise, apply for new jobs or a loan, or address a health concern. Then Friday and Saturday see beautifying Venus repeat the same aspects as Mercury, sending lovely beams to Saturn and Pluto from your financial zone. There are a few tricky aspects to be aware of this week, as the Sun (your ruler) in your travel house will square Saturn on Wednesday, the True Node on Friday, and Pluto on Saturday. Work or illness may interfere with a trip. Additionally, Friday will see Mercury square Jupiter in your love zone, possibly bringing higher expenses your way. This week is all about relationships, as Mercury (your ruler!) and Venus glide through your 7th house and make some lovely aspects to other planets! Sunday sees Mercury reach out to Saturn in your love zone, making for the perfect night for a date. On Tuesday, Mercury will go on to smooch the fated True Node in your goals zone, suggesting you could take steps towards a long-term goal with a partner. Wednesday brings more good 7th house vibes, as Venus conjuncts Neptune in this house, and Mercury reaches out happily to Pluto. What a romantic day for love and romance! This is great energy for a date. If you’re single, get out there and mingle! If dating is not on your agenda, use this energy to work towards business relationships, best friendships, and creative projects. Then Friday and Saturday see beautifying Venus repeat the same aspects as Mercury, sending lovely beams to Saturn and Pluto from your relationship zone. There are a few tricky aspects to be aware of this week, as the Sun in your financial house will square Saturn on Wednesday, the True Node on Friday, and Pluto on Saturday. Expenses may arise. Additionally, Friday will see Mercury (your ruler) square Jupiter in your home zone, possibly bringing challenges to a housing matter or family relationship. This week is all about work and health, as Mercury and Venus (your ruler!) glide through your 6th house and make some lovely aspects to other planets! Sunday sees Mercury reach out to Saturn in your home zone, bringing good energy to home related projects and health matters. On Tuesday, Mercury will go on to smooch the fated True Node in your career zone, suggesting you could get some good news on the job! Wednesday brings more good 6th house vibes, as Venus conjuncts Neptune in this house, and Mercury reaches out happily to Pluto. Use this energy to set health or fitness goals, brush up your resume, or get your work systems in order. Then Friday and Saturday see beautifying Venus (your ruler!) repeat the same aspects as Mercury, sending lovely beams to Saturn and Pluto from your work and health zone. There are a few tricky aspects to be aware of this week, as the Sun in your relationship house will square Saturn on Wednesday, the True Node on Friday, and Pluto on Saturday. You could have challenges with a close business or personal partner, or home or family matter. Additionally, Friday will see Mercury square Jupiter in your communication house, possibly bringing unexpected communication delays or vehicle problems your way. It’s also possible that work or illness interferes with fun plans you had. This week is all about love, romance, and children, as Mercury and Venus glide through your 5th house and make some lovely aspects to other planets! Sunday sees Mercury reach out to Saturn in your commitment house, making for a great day for a date, trip, or work on a creative project. On Tuesday, Mercury will go on to smooch the fated True Node in your travel house, making for another excellent day for a romantic trip or visionary project. Wednesday then sees more good 5th house energy, as Venus conjuncts Neptune in this house, and Mercury reaches out happily to Pluto (your ruler!)! If you’re trying for a baby, this would be a great day for a it. If you’re single, get out there and mingle! Then Friday and Saturday see beautifying Venus repeat the same aspects as Mercury, sending lovely beams to Saturn and Pluto from your love, babies, and creativity sector. There are a few tricky aspects to be aware of this week, as the Sun in your work and health house will square Saturn on Wednesday, the True Node on Friday, and Pluto on Saturday. Work or illness could interfere with any fun plans you have. Additionally, Friday will see Mercury square Jupiter in your money house, possibly bringing an unexpected expense your way. This week is all about home and family, as Mercury and Venus glide through your home zone and make some lovely aspects to other planets! Sunday sees Mercury reach out to Saturn, making for a great day to spend at home, redecorate, or spend time with family. On Tuesday, Mercury will go on to smooch the fated True Node, making for another excellent day to address housing or family matters. You could even get some good financial news today! Wednesday then sees more good 4th house energy, as Venus conjuncts Neptune in this house, and Mercury reaches out happily to Pluto! Then Friday and Saturday see beautifying Venus repeat the same aspects as Mercury, sending lovely beams to Saturn and Pluto from your home and family sector. There are a few tricky aspects to be aware of this week, as the Sun in your love house will square Saturn on Wednesday, the True Node on Friday, and Pluto on Saturday. You might have trouble with romance or a child on these days, or you may learn of an unexpected expense. Additionally, Friday will see Mercury square Jupiter (your ruler) in your sign, possibly bringing challenges to home and family matters. This week is all about communication, siblings, and commitments, as Mercury and Venus glide through your communication sector and make some lovely aspects to other planets! Sunday sees Mercury reach out to Saturn (your ruler!) in your sign, making for a great day to go on a day trip or hang with a sibling. On Tuesday, Mercury will go on to smooch the fated True Node in your relationship house. This would be a lovely evening for a date with your one and only. 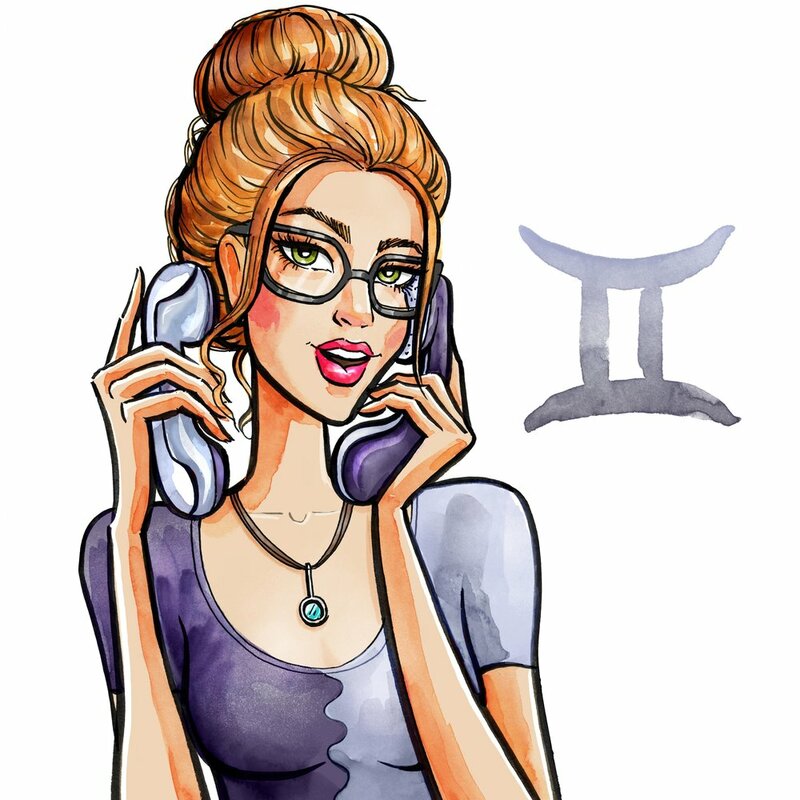 Wednesday is another good day for communication matters, as Venus will conjunct Neptune in your 3rd house. This same day sees Mercury reach out happily to Pluto in your sign. Take advantage of this energy by planning a trip, catching up on emails, researching vehicles, or calling a sibling! Then Friday and Saturday see beautifying Venus repeat the same aspects as Mercury, sending lovely beams to Saturn and Pluto in your sign. If you’re able to get out of town this weekend for a getaway, that would be perfect! There are a few tricky aspects to be aware of this week, as the Sun in your home zone will square Saturn on Wednesday, the True Node on Friday, and Pluto on Saturday. You might have trouble with a housing matter, relationship, or family member. Additionally, Friday will see Mercury square Jupiter in your closure zone, possibly bringing you an unexpected delay or communication snafu. This week is all about money and closure, as Mercury and Venus glide through your salary sector and make some lovely aspects to other planets! Sunday sees Mercury reach out to Saturn in your closure zone, suggesting you could hear some positive financial news. On Tuesday, Mercury will go on to smooch the fated True Node in your work and health house, and you might get a raise, bonus, or payment from a client. Wednesday is another good day for money matters, as Venus will conjunct Neptune in your income zone. This same day sees Mercury reach out happily to Pluto in your closure zone. Take advantage of this energy by invoicing clients, wrapping up old work projects, and even selling old possessions you no longer need! Then Friday and Saturday see beautifying Venus repeat the same aspects as Mercury, sending lovely beams to Saturn and Pluto in your closure zone! If you guessed that these days are good for money and closure- you guessed right! There are a few tricky aspects to be aware of this week, as the Sun will square Saturn on Wednesday, the True Node on Friday, and Pluto on Saturday. You might have trouble with a trip, sibling, contract, or vehicle. Additionally, Friday will see Mercury square Jupiter in your goals zone, possibly bringing you an unexpected expense. This week is all about you and your dreams, as Mercury and Venus glide through your sign and make some lovely aspects to other planets! Sunday sees Mercury reach out to Saturn in your goals zone, making for a great day to spend with friends or work on projects. On Tuesday, Mercury will go on to smooch the fated True Node in your love house. This is a wonderful day for a date or to try for a baby! Wednesday is another good day for romance, as Venus will conjunct your ruler, Neptune, in your sign. This same day sees Mercury reach out happily to Pluto in your sector of hopes and goals! Take advantage of this energy by spending time with friends or going on a date! Then Friday and Saturday see beautifying Venus repeat the same aspects as Mercury, sending lovely beams to Saturn and Pluto in your hopes and goals zone! If you guessed that you should hang with friends or go on dates these days- you guessed right! There are a few tricky aspects to be aware of this week, as the Sun will square Saturn on Wednesday, the True Node on Friday, and Pluto on Saturday. Your dreams, a social event, or a creative project may prove expensive this week! 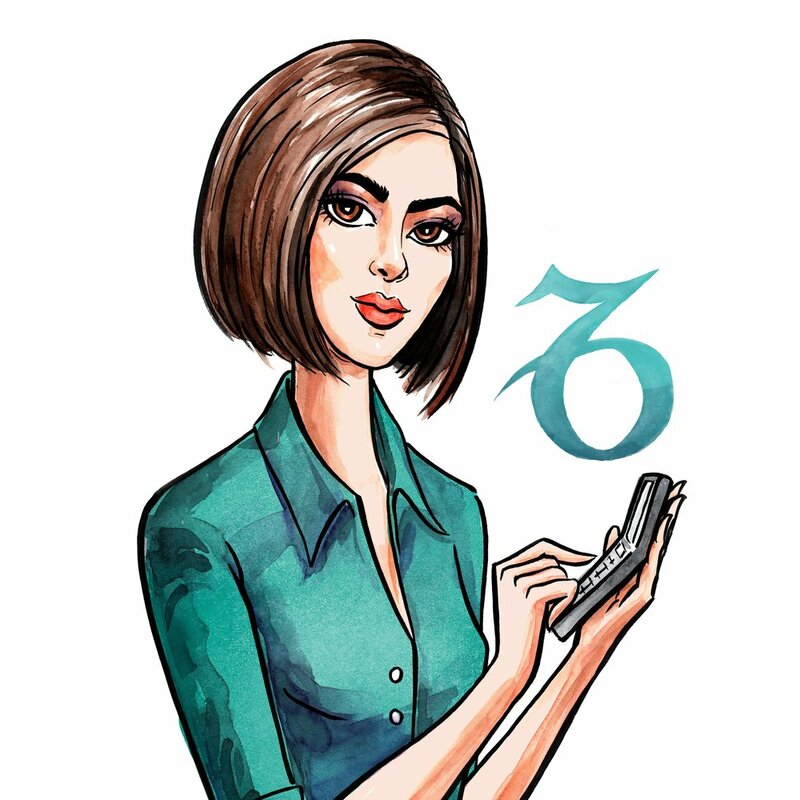 Additionally, Friday will see Mercury square Jupiter in your career zone, creating some challenges on the job. This week is all about closure and endings for you, with lots of activity happening in your 12th house this week. On Sunday, Neptune will conjunct Mercury in this house, and on Tuesday, the lovely Venus will enter this house as well. With Venus transiting your closure sector over the coming weeks, you may decide to stay under the covers with your boo for the rest of the month! Wednesday then sees Venus make a lovely aspect to surprising Uranus in your money house, so you may hear good financial news today. Then on Thursday, Mercury will finally resume direct motion in your closure house, clearing up any confusion you’ve been having in this area of life. Yay! If you can, still try to give it a few days before you make any major changes. This week is all about friendships and goals, with lots of activity happening in your 11th house this week! On Sunday, Neptune will conjunct Mercury in this house, and on Tuesday, the lovely Venus (your ruler!) will enter this house as well. 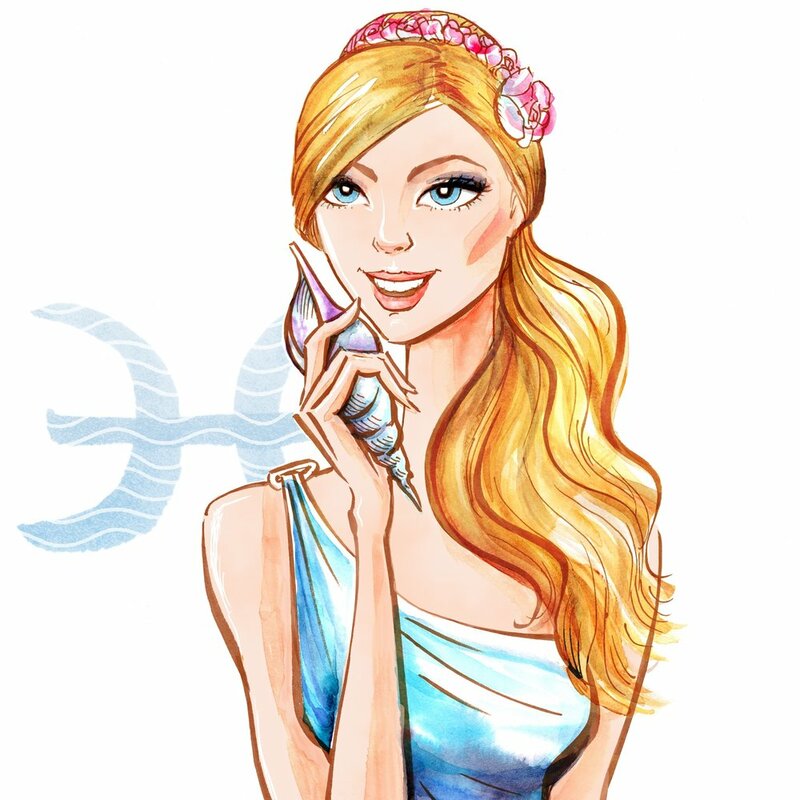 With Venus transiting your friendship sector over the coming weeks, you might find unexpected romance with a friend! The 11th house also rules technology, so if you’re single, you might think about signing up for a dating app! Wednesday then sees Venus make a lovely aspect to surprising Uranus in your sign of Taurus, so this is a good day to make any moves in regards to romance, long-term goals, technology or friendships. Then on Thursday, Mercury will finally resume direct motion in your goals house, clearing up any confusion you’ve been having in this area of life. Yay! If you can, still try to give it a few days before you make any drastic changes. This week is all about career, with lots of activity happening in your 10th house this week! On Sunday, Neptune will conjunct Mercury (your ruler) in this house, and on Tuesday, the lovely Venus will enter this house as well. It’s possible you get accolades on the job over the coming weeks! Even better, Wednesday sees Venus make a lovely aspect to surprising Uranus in your closure zone, so you might finish an assignment to great applause, or hear other good career news. Then on Thursday, Mercury (again, that’s your ruler) will finally resume direct motion in your career house, clearing up any confusion you’ve been having in this area of life. Yay! If you can, still try to give it a few days before you make any major career decisions. This week is all about travel and education, with lots of activity happening in your 9th house this week! On Sunday, Neptune will conjunct Mercury in this house, and on Tuesday, the lovely Venus will enter this house as well. It’s even possible you go on a romantic trip at this time! Wednesday then sees Venus make a lovely aspect to surprising Uranus in your friendship and goals zone, so it’s possible you have some friends on this trip as well. This aspect could also point to romance with a friend. Then on Thursday, Mercury will finally resume direct motion in your travel house, clearing up any confusion you’ve been having in this area of life. Yay! If you can, still try to give it a few days before you make any big purchases. This week is all about finances and intimacy, with lots of activity happening in your 8th house this week! On Sunday, Neptune will conjunct Mercury in this house, and on Tuesday, the lovely Venus will enter this house as well. It’s possible you get a check you’ve been waiting on or receive a tax refund. This is also a great time for romance! Wednesday then sees Venus make a lovely aspect to surprising Uranus in your career zone, making for a great career day. Venus is actually your career planet as well- you may get a bolt of luck out of the blue! Then on Thursday, Mercury will finally resume direct motion in your financial house, clearing up any confusion you’ve been having in this area of life. Yay! If you can, still try to give it a few days before you make any big purchases. This week is all about relationships, with lots of activity happening in your partnership sector this week! On Sunday, Neptune will conjunct Mercury in this house, and on Tuesday, the lovely Venus will enter this house as well. It’s possible you smooth over relationship problems at this time or have an especially romantic week! Wednesday then sees Venus make a lovely aspect to surprising Uranus in your travel zone, making for a great night for a date with your sweetie. Then on Thursday, Mercury will finally resume direct motion in your relationship house, clearing up any confusion you’ve been having in this area of life. Yay! If you can, still try to give it a few days before you make any drastic decisions. This week is all about work and health, with lots of activity happening in this sector this week! On Sunday, Neptune will conjunct Mercury in this house, and on Tuesday, the lovely Venus (your ruler) will enter this house as well. It’s possible you smooth over work problems or heal a health issue. Wednesday then sees Venus make a lovely aspect to surprising Uranus in your financial zone, which could bring good financial news your way. Then on Thursday, Mercury will finally resume direct motion in your work and health zone, clearing up any confusion you’ve been having. Yay! If you can, still try to give it a few days before you make any drastic decisions. This week is all about love, children and romance, with lots of activity happening in this sector this week! On Sunday, Neptune will conjunct Mercury in this house, and on Tuesday, the lovely Venus will enter this house as well. Having romance-planet Venus in your love house is just about as romantic as you could get! Wednesday then sees Venus make a lovely aspect to surprising Uranus in your relationship zone, making for a great day for a date or a commitment with your one and only. Then on Thursday, Mercury will finally resume direct motion in your love zone, clearing up any confusion you’ve been having. Yay! If you can, still try to give it a few days before you make any drastic decisions. On Sunday, Neptune will conjunct Mercury in your home zone, and it's possible that you'll hear good news about a housing or family matter. Not only that, but, Tuesday actually sees the lovely Venus enter this same home sector as well, giving you more good family and housing vibes. Wednesday then sees Venus make a lovely aspect to surprising Uranus zone, which could bring a positive housing surprise your way. Then on Thursday, Mercury will finally resume direct motion in your home zone, clearing up a home or family matter. Yay! If you can, still try to give it a few days before you make any drastic decisions. On Sunday, Neptune will conjunct Mercury in your communication house, and it's possible that you'll hear good news about a trip, contract, or sibling. Not only that, but, Tuesday actually sees the lovely Venus enter this same communication house as well, offering more evidence of good communication vibes! Venus in this house could see you take a romantic trip as well. Wednesday then sees Venus make a lovely aspect to surprising Uranus in your love zone, suggesting that any trips will be full of fun and romance. Then on Thursday, Mercury will finally resume direct motion in your communication house, clearing up matters relating to contracts, siblings, and travel. Yay! If you can, still try to give it a few days before you make any drastic decisions. On Sunday, Neptune will conjunct Mercury in your salary house, and it's possible that you'll hear good financial news. Not only that, but, Tuesday actually sees the lovely Venus enter your salary house as well, offering more evidence of good money luck! Wednesday then sees Venus make a lovely aspect to surprising Uranus in your home zone, suggesting that you may use some of this money to redecorate your home or spend time with family. Then on Thursday, Mercury will finally resume direct motion in your money house. Yay! If you can, still try to give it a few days before you make any drastic decisions. On Sunday, your ruler, Neptune, will conjunct Mercury in your sign of Pisces, and it's possible that you'll hear wonderful news about home, family, or a relationship (since Mercury rules these houses). Tuesday is special because the moon is in Sagittarius today, and she'll conjunct good luck Jupiter! The moon rules your 5th house of love, fun and children, so tonight would be great for a date! 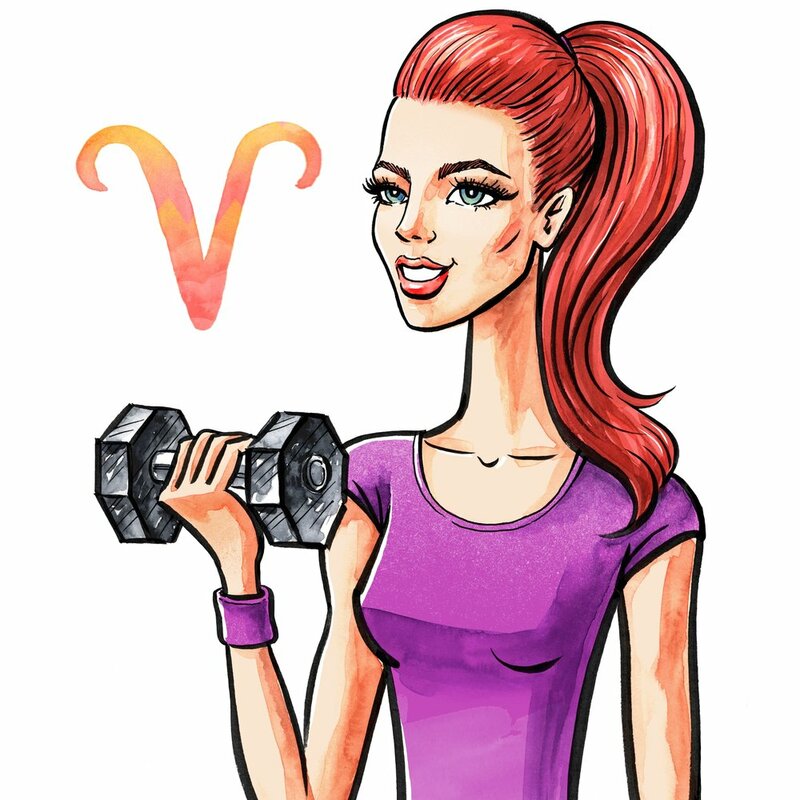 Lucky for you, Tuesday also sees the lovely Venus enter your sign of Pisces, ensuring romance will follow you around for the next month! In fact, once Mercury goes direct on Thursday, you might think about updating your look- perhaps a new hairstyle or wardrobe? On Wednesday, Venus will make a lovely aspect to surprising Uranus in your communication sector, making for another good day for a date. This influence could also give you a way with words, so perhaps you could write your sweetie a love note. On Thursday, Mercury will finally resume direct motion in your sign. Yay! A personal or partnership matter may become more clear. If you can, still try to give it a few days before you make any drastic decisions. On Sunday, Mercury in your closure sector blows a kiss to motivator Mars (your ruler!) in your salary house, suggesting you could hear good money news today. Perhaps you win a St. Patrick’s Day bet? Wednesday then sees both of these planets (Mercury and Mars) reach out happily to Saturn and Pluto in your career zone, making for an excellent money and career day. Thursday is a bit more mixed, as Venus in your friends and goals house makes an angry square to Mars in your salary sector. You might learn of an expense today or have trouble with a friend. Luckily, Thursday also sees Venus in your friends and goals house send a sweet beam to good luck Jupiter in your travel zone, suggesting you’ll find a solution to any problems. Friday then sees Mars in your salary house shine radiantly at the fated True Node in your home zone, making for a great day to spend with family or buy a new piece of decor for your home. The same day (Friday) sees the the Sun conjunct Chiron in your sign of Aries, making for a romantic and healing night. On Sunday, Mercury in your friends and goals sector blows a kiss to motivator Mars in your sign of Taurus, making for a great day to celebrate St. Patrick’s Day with friends on the town. Wednesday then sees both of these planets (Mercury and Mars) reach out happily to Saturn and Pluto in your travel zone, making for another good day to spend with friends or work on goals. Thursday is a bit more mixed, as your ruler, Venus, in your career house makes an angry square to Mars in your sign of Taurus. You might have trouble on the job or with an authority figure. Luckily, Thursday also sees Venus in your career house send a sweet beam to good luck Jupiter in your financial zone, indicating that you could actually hear some good career news today as well! Friday then sees Mars in your sign shine radiantly at the fated True Node in your communication house, making for a great day to go on a trip or spend time with siblings. The same day (Friday) sees the the Sun conjunct healing Chiron in your closure zone, so you may decide instead to have a quiet night in. On Sunday (St. Patrick's Day! ), Mercury (your ruler!) in your career sector blows a kiss to motivator Mars in your closure house, making for a great day to wrap up old jobs. Wednesday then sees both of these planets (Mercury and Mars) reach out happily to Saturn and Pluto in your financial zone, suggesting you could get a raise or get paid by a client. Thursday is a bit more mixed, as Venus in your travel house makes an angry square to Mars in your closure zone. You might have trouble with travel or an educational matter today. Luckily, Thursday also sees Venus in your travel house send a sweet beam to good luck Jupiter in your relationship zone, suggesting you’ll find a solution to any problems. Friday then sees Mars in your closure sector shine radiantly at the fated True Node in your salary house, suggesting you could get some great money news today! The same day (Friday) sees the the Sun conjunct healing Chiron in your 11th house of friends and goals, making for the perfect night to celebrate with friends. On Sunday (St. Patrick's Day! 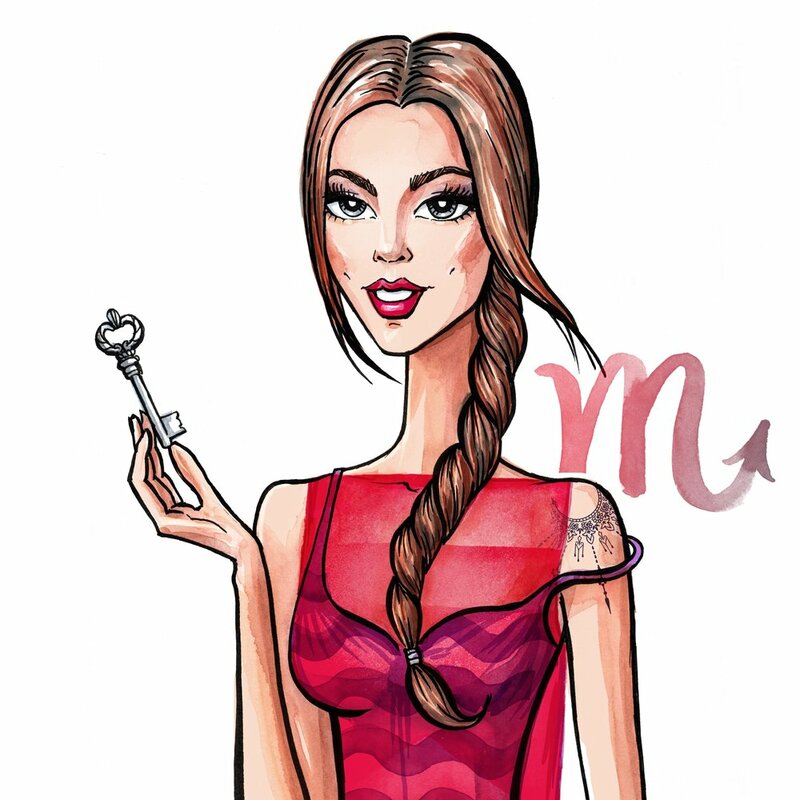 ), Mercury in your travel sector blows a kiss to motivator Mars in your friendship house, making for a great day to spend with friends or work on long-term projects. Wednesday then sees both of these planets (Mercury and Mars) reach out happily to Saturn and Pluto in your relationship zone, suggesting a close personal or business partner could factor into your plans. Thursday is a bit more mixed, as Venus in your financial house makes an angry square to Mars in your goals zone. Expenses could run high today. Luckily, Thursday also sees Venus in your financial house send a sweet beam to good luck Jupiter in your work and health zone, suggesting you’ll find the money you need. Friday sees the the Sun conjunct healing Chiron in your 10th house of career, making it possible you’ll hear excellent career news today. With Mars in your friends and goals sector shining radiantly at the fated True Node in your sign of Cancer on this same day (Friday), this is the perfect night to go out and celebrate with friends! On Sunday (St. Patrick's Day! 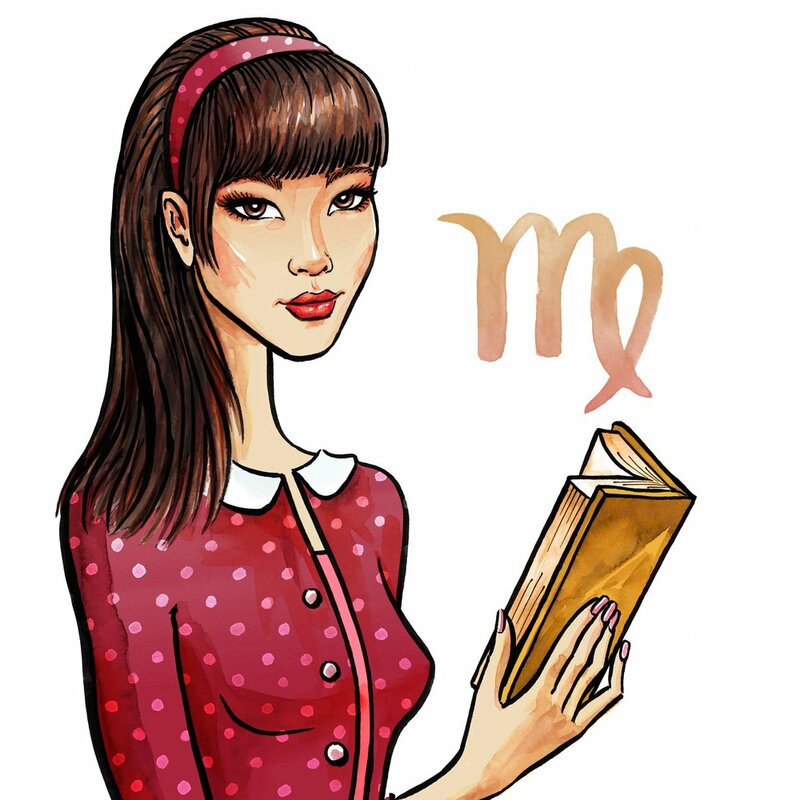 ), Mercury in your financial sector blows a kiss to motivator Mars in your career house, suggesting this week could bring you excellent money and career news! Wednesday then sees both of these planets (Mercury and Mars) reach out happily to Saturn and Pluto in your work and health zone, providing even further evidence that you could get a win on the job this week! Thursday is a bit more mixed, as Venus in your relationship house makes an angry square to Mars in your career zone. You could feel torn between a partner and your career, or have trouble with an authority figure. Luckily, Thursday also sees Venus in your relationship house send a sweet beam to good luck Jupiter in your fun and love zone, making for a very romantic day! Friday brings more excellent career news, when Mars in this sector shines radiantly at the fated True Node in your 12th house of closure. You could finalize a project at work and get accolades for your effort. This same day (Friday) sees the the Sun (your ruler) conjunct healing Chiron in in your 9th house of travel, making for the perfect time to celebrate, whether you’re traveling or staying closer to home. On Sunday (St. Patrick's Day! ), Mercury (your ruler!) in your relationship sector blows a kiss to motivator Mars in your travel house, making for a great day to plan or go on a fun day with your boo. Perhaps a trip even? Wednesday then sees both of these planets (Mercury and Mars) reach out happily to Saturn and Pluto in your fun and love zone, suggesting that whatever you do today could be very romantic! It’s the perfect day for a date. Thursday is a bit more mixed, as Venus in your work and health house makes an angry square to Mars in your travel zone. It’s possible that illness or work interferes with any fun plans you have. Luckily, Thursday also sees Venus in your work and health house send a sweet beam to good luck Jupiter in your home zone, suggesting that you’ll find a solution to any problems. Friday brings excellent aspects for travel and educational matters, when Mars in this sector shines radiantly at the fated True Node in your 11th house of friends and goals. This is the perfect time to travel, make steps towards goals, or hang with friends. This same day (Friday) sees the the Sun conjunct healing Chiron in in your 8th house of finances, suggesting you could hear good financial news as well. On Sunday (St. Patrick's Day! ), Mercury in your work and health house blows a kiss to motivator Mars in your financial zone, making for a great day to pitch an assignment, ask for a raise, or address a health concern. Wednesday then sees both of these planets (Mercury and Mars) reach out happily to Saturn and Pluto in your home zone, suggesting that whatever comes up could benefit your home life too! Thursday is a bit more mixed, as Venus (your ruler) in your love and fun house makes an angry square to Mars in your financial zone. You could quarrel with your boo or a child, or learn of an unexpected expense. Luckily, Thursday also sees Venus in your fun and love house send a sweet beam to good luck Jupiter in your commitment sector, suggesting that you’ll find a solution to any problems. In fact, you may find the money you need on Friday, when Mars in your financial house shines radiantly at the fated True Node in your 10th house of career. Wow! Today could bring some awesome career news! This same day (Friday) sees the the Sun conjunct healing Chiron in in your 7th house of relationships, so perhaps you could celebrate afterward with your one and only. On Sunday (St. Patrick's Day! ), Mercury in your sector of fun and love blows a kiss to motivator Mars (one of your rulers) in your relationship house, making for a great day go on a date with your one and only. Wednesday then sees both of these planets (Mercury and Mars) reach out happily to Saturn and Pluto (your other ruler) in your commitment house, making for another wonderful day for a date. Perhaps even a short trip out of town! Thursday is a bit more mixed, as Venus in your home zone makes an angry square to Mars in your relationship house. You could have problems with a spouse, family member, or housing project. Luckily, Thursday also sees Venus in your home zone send a sweet beam to good luck Jupiter in your salary sector, bringing good energy to home, family, and money matters. Friday brings more blessings to relationships, as Mars in this house shines radiantly at the fated True Node in your 9th house of travel. This is a great day to go on or plan a fun trip with your one and only. This same day (Friday) sees the the Sun conjunct healing Chiron in in your 6th house of work and health, so you might also hear good news in this area of life. On Sunday (St. Patrick's Day! ), Mercury in your home zone blows a kiss to motivator Mars in your work and health house, making for a great day to work on home projects, spend with family, or make moves on the job. Wednesday then sees both of these planets (Mercury and Mars) reach out happily to Saturn and Pluto in your salary house, suggesting you could get good financial news at this time! Thursday is a bit more mixed, as Venus in your communication house makes an angry square to Mars in your work and health zone. You could have problems with a co-worker, work assignment, or vehicle. It’s also possible that work or illness disrupts a trip. Luckily, Thursday also sees Venus in your communication house send a sweet beam to good luck Jupiter (your ruler!) in your sign of Sagittarius, suggesting you’ll find a solution. Friday brings more blessings to your bank account, as Mars in in your work sector shines radiantly at the fated True Node in your 8th house of finances. This is a great day to ask for a raise or bonus or address a health concern. This same day (Friday) sees the the Sun conjunct healing Chiron in in your 5th house of fun, romance and creativity, so perhaps you can go out and celebrate after! On Sunday (St. Patrick's Day! ), Mercury in your communication house will blow a kiss to motivator Mars in your fun and love zone, making for a very romantic and creative time! This is a great day for a date, or to spend with kids or work on creative projects. Wednesday then sees both of these planets (Mercury and Mars) reach out happily to Saturn (your ruler!) and Pluto in your sign of Capricorn, furthering your good energy for communication, fun, romance, creativity and children. Thursday is a bit more mixed, as Venus in your money house makes an angry square to Mars in your fun and love zone. You might have had a little too much fun this week- be sure you don’t spend too much money! Luckily, Thursday also sees Venus in your money house send a sweet beam to good luck Jupiter in your closure zone, suggesting you’ll find the money you need. Friday brings more blessings to romance, child-related matters, and creativity, as Mars in this sector shines radiantly at the fated True Node in your 7th house of partners. This is a marvelous time for a date with your one and only. You might even try for a baby if you’re so inclined. If you’re single, get out there and mingle! This same day (Friday) sees the the Sun conjunct healing Chiron in in your 4th house of home, so perhaps love for you means staying in with your family. Wednesday could bring good money news, as Mercury in your salary house then makes a lovely sextile to Saturn in your closure zone. Wednesday also sees Mars in your home sector reach out to this same closure zone, making for another good time to spend with family or work on home projects. Thursday is a bit more mixed, as Venus in your sign of Aquarius makes an angry square to Mars in your home zone. You might have trouble with a family member or housing matter today. Luckily, Thursday also sees Venus in your sign send a sweet beam to good luck Jupiter in your friendship sector, making for the perfect time to spend with friends. Why not go out with some pals to get your mind off things on the home front? Friday might actually see you find a solution for home related matters, as Mars in this sector shines radiantly at the fated True Node in your 6th house of work and health. This same day sees the the Sun conjunct healing Chiron in in your 3rd house of communication. On Sunday (St. Patrick's Day! 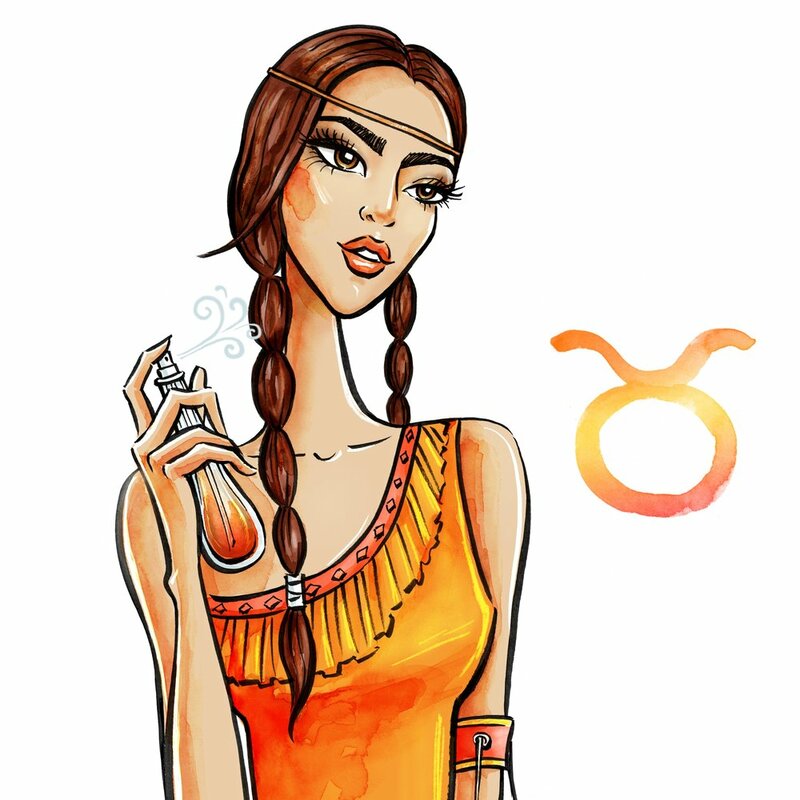 ), Mercury in your sign of Pisces will blow a kiss to motivator Mars in your communication zone, making for a great day to spend with friends celebrating. This is also a good time to travel or work on writing projects. Wednesday is another good day to spend with friends, as Mercury in your sign then makes a lovely sextile to Saturn in your friendship and goals zone. Wednesday also sees Mars in your communication sector reach out to this same house of friends and goals, offering even more evidence that today was made for socializing! Get out there and have fun, Pisces! Thursday is a bit more mixed, as Venus in your closure house makes an angry square to Mars in your communication zone. You might have trouble traveling or even get in an argument today. It's also possible you have trouble with your car, or that you miss an important email. Luckily, Thursday also sees Venus in your closure house sends a sweet beam to good luck Jupiter in your career sector, so you may get some good news on the job front! Friday is lovely, as Mars in your communication house shines radiantly at the fated True Node in your 5th house of love and fun. This could be a very romantic day. This same day sees the the Sun conjunct healing Chiron in Aries, making it possible you hear good money news! Wednesday also sees a full moon in your relationship zone, suggesting that a relationship matter will come to a head. Jupiter and Mars (your ruler) will actually make wide, out of sign squares to the moon from your houses of travel and finances, so you might actually have trouble with a partner. Perhaps work needs interfere with plans you had with a partner, or you and your love have a disagreement about finances. Thursday is also mixed, as Venus in your friends and goals house makes an angry square to Mars in your salary sector. You might learn of an expense today or have trouble with a friend. Wednesday also sees a full moon in your work and health zone, suggesting that a job or health-related matter will come to a head. Jupiter and Mars will actually make wide, out of sign squares to the moon from your houses of finances and identity, so it’s possible that you encounter challenges on the job at this time. You might even feel under the weather! Take those vitamins! Thursday is also mixed, as your ruler, Venus, in your career house makes an angry square to Mars in your sign of Taurus. Again, it seems you could have trouble on the job or with an authority figure. On Sunday (St. Patrick's Day! ), Mercury (your ruler!) in your career sector blows a kiss to motivator Mars in your closure house, making for a great day to wrap up old jobs and clients. Wednesday then sees both of these planets (Mercury and Mars) reach out happily to Saturn and Pluto in your financial zone, suggesting that you could get a severance or paycheck from a completed gig. Wednesday also sees a full moon in your fun and love zone, suggesting that a romantic, creative, or child-related matter will come to a head. Jupiter and Mars will actually make wide, out of sign squares to the moon from your houses of relationships and closure, so it’s possible that you encounter challenges at this time. You may argue with a partner or child, or find that a partner’s needs interfere with your own. Thursday is also mixed, as Venus in your travel house makes an angry square to Mars in your closure zone. You might have trouble with travel or an educational matter today. Wednesday then sees both of these planets (Mercury and Mars) reach out happily to Saturn and Pluto in your relationship zone, suggesting that a close personal or business partner could factor into your plans. Wednesday also sees the full moon in your home zone, suggesting that a housing or family matter could come to a head. Jupiter and Mars will actually make wide, out of sign squares to the moon from your houses of work, health, and friendships, so it’s possible that work or plans with friends interrupt family plans. A housing matter may also prove difficult. Thursday is also mixed, as Venus in your financial house makes an angry square to Mars in your goals zone. Expenses could run high today, or friendships could prove challenging. Wednesday also sees the full moon in your communication house, suggesting that a contract or commitment could come to a head. You might also decide to travel or spend time with siblings. Jupiter and Mars will actually make wide, out of sign squares to the moon from your houses of fun, love, children and career, so it’s possible that these needs are at odds with whatever comes up at the full moon. Perhaps a big work contract arises right as you’re headed out of town! Thursday is also mixed, as Venus in your relationship house makes an angry square to Mars in your career zone. You could feel torn between a partner and your career, or have trouble with an authority figure. Wednesday also sees the full moon in your salary house, suggesting that a job or salary matter could come to a head. Jupiter and Mars will actually make wide, out of sign squares to the moon from your houses of home and travel, so it’s possible that work needs interfere with fun plans or family time. You might also learn that you owe some money. Thursday is also mixed, as Venus in your work and health house makes an angry square to Mars in your travel zone. Again, it seems work could interfere with any fun plans you have. Wednesday also sees the full moon in your sign of Libra, suggesting that an important personal project or relationship could come to a head at this time. Jupiter and Mars will actually make wide, out of sign squares to the moon from your houses of communication and finances, so it’s possible that you could owe some money at this time. It’s also possible that whatever comes up at this time interferes with a trip. Thursday is also mixed, as Venus (your ruler) in your love and fun house makes an angry square to Mars in your financial zone. You could quarrel with your boo or a child, or learn of an unexpected expense. Wednesday also sees the full moon in Libra and your 12th house of closure, however, so any travel plans may encounter some challenges. You may feel more tired or run down than usual, and something may even come to an end at this time. Jupiter and Mars (your ruler) will make wide, out of sign squares to the moon, so it’s also possible that work needs interfere with a planned trip or that you end up getting in an argument with a partner. Additionally, Thursday sees Venus in your home zone make an angry square to Mars in your relationship house. You could have problems with a spouse, family member, or housing project. Luckily, Thursday also sees Venus in your home zone send a sweet beam to good luck Jupiter in your salary sector, bringing good energy back to to home, family, and money matters. Additionally, Venus actually rules your 12th house of closure, so Jupiter’s beam could sort out any problems that might have come up at the full moon. Wednesday also marks the full moon in Libra and your 11th house of friends and goals. You could complete a long-held goal at this time or hear news about a friend. Jupiter (your ruler) and Mars will make wide, out of sign squares to the moon, so it’s possible whatever comes up proves challenging. Work may get in the way of fun plans, or you could even get in an argument with a friend. Additionally, Thursday sees Venus in your communication house make an angry square to Mars in your work and health zone. You could have problems with a co-worker, work assignment, or vehicle. It’s also possible that work or illness disrupts a trip. Luckily, Thursday also sees Venus in your communication house send a sweet beam to good luck Jupiter (your ruler!) in your sign of Sagittarius, suggesting you’ll find a solution. Additionally, Venus actually rules your 11th house of goals and friends, so Jupiter’s beam could sort out any problems that might have come up at the full moon. Wednesday also sees the full moon in Libra and your 10th house of career. You could complete a project, receive a promotion, or get a new job at this time. Jupiter and Mars will make wide, out of sign squares to the moon, so it’s possible whatever comes up proves challenging. Perhaps it will be hard to juggle child obligations with a new job, or you might have to give up a personal creative endeavor. Additionally, Thursday sees Venus in your money house makes an angry square to Mars in your fun and love zone, again suggesting that work could interfere with fun plans you had. Luckily, Thursday also sees Venus in your money house send a sweet beam to good luck Jupiter in your closure zone, suggesting that this job could come with a raise, which I think you’ll be happy to hear! Additionally, Venus actually rules your 10th house of career, so Jupiter’s beam could sort out any problems that might have come up at the full moon. Then on Wednesday, both of these planets (Mercury and Mars) send a happy beam to Saturn in your closure zone, further bolstering money, home, and family matters. Wednesday also sees a full moon in Libra and your 9th house of travel. You may go on or plan a fun, foreign trip at this time, or apply to or complete an educational program. Jupiter and Mars will make wide, out of sign squares to the moon, so it’s possible whatever comes up proves challenging- perhaps a family member or your job needs you while you’re away. Additionally, on Thursday, Venus in your sign makes an angry square to Mars in your home zone, further suggesting that you could have trouble with a family member or housing matter today. Luckily, Thursday also sees Venus in your sign send a sweet beam to good luck Jupiter in your friendship sector, making for the perfect time to spend with friends. Not only that, but Venus also rules your 9th house of travel and education, so Jupiter’s beam could sort out whatever came up at the full moon. Wednesday is another good day to spend with friends, as Mercury and Mars then blow kisses to Saturn in your friendship and goals zone. Get out there and have fun, Pisces! Wednesday also marks the full moon in Libra and your 8th house of shared finances. A financial matter could come to a head this week, perhaps about a bonus, tax matter, partner’s income, or loan. The 8th house also rules intimacy and surgery, so these are also areas of life that could be affected. Jupiter and Mars will make wide, out of sign squares to the moon, so it’s possible you’ll actually owe money at this time. Additionally, Thursday sees Venus in your closure zone square Mars in your communication house. You might have trouble traveling or even get in an argument today. It's also possible you have trouble with your car, or that you miss an important email. Luckily, Thursday also sees Venus in your closure house send a sweet beam to good luck Jupiter in your career sector, so you may get some good news on the job front! Since Venus also rules your 8th house of finances, this could help soften the blow of whatever came up at the full moon.